Our purpose is to serve families with love, education, and life enhancing care so that they may innately express their true potential and optimum health throughout life. Dr. Justine Blainey-Broker is “that girl” recognized for removing sexual discrimination in sport from the Ontario Human Rights Code before the age of 15. Today Dr. Justine is a Chiropractor, a wife, a mother of two and a warrior for health and wellness. She is an active community volunteer, working with Excelsiors Lacrosse and Brampton Women’s Hockey. Dr. Justine is also a popular motivational speaker at schools, York University, local businesses and charities. She believes that everyone deserves a healthcare team that focuses on prevention, optimal health and open communication. Dr. Steve Gillis completed his undergraduate education in 1994 receiving a Bachelor of Physical Education from McMaster University in Hamilton, Ontario. Dr. Steve furthered his studies finishing his post-graduate education at the Canadian Memorial Chiropractic College in Toronto where he received his Doctor of Chiropractic and graduated as class valedictorian in 1999. Throughout his high school and university athletics Dr. Steve was a nationally ranked track and field athlete in the long jump. Professionally, Dr. Steve has practiced in Sydney, Australia and Hagersville, Ontario and since April 2001 has been with the Justine Blainey Wellness Centre. Dr. Steve is certified in Active Release Technique (A.R.T.) in the spine, upper and lower extremity modules. Currently Dr. Steve is the team chiropractor for the McMaster Marauders Varsity Swim Team, the McMaster Triathlon Club and the Mississauga Ice Dogs. Dr. Steve is the only doctor in Brampton providing A.R.T. Services. Dr. Singleton has been practicing chiropractic care for 40 years and has been a chiropractic patient himself for 55 years. He has studied various chiropractic techniques such as non force instrumental, tonal models of care and applied kinesiology (A.K. ), and acupuncture. Dr. Singleton has attended several nutritional seminars and is certified in “First Line Therapy” nutritional protocols. He has been to numerous post grad courses on case management through Parker Research, Brimhall protocols and Pettibon procedures. This all adds up to 90 seminars for post grad training from Dallas and New Orleans, U.S.A. to Thunder Bay, Ontario from Vancouver B.C. to Oxford, England! Wayne is married with 4 kids and 11 grandchildren and his interests include reading, weight training, traveling, photography and spending as much time as he can with his wife. Dr Wayne’s core belief is that there is no substitute for a chiropractic adjustment of the vertebral subluxation complex. The body is self healing but is incapacitated because of spinal- neural interference by the subluxation. Dr. Amrit Sahota graduated with a Bachelor of Sciences (Hons.) 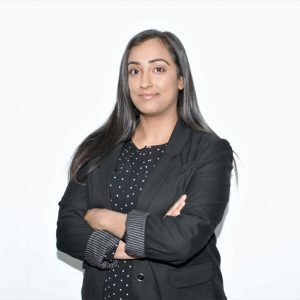 in Kinesiology degree from York University in 2011 and went on to pursue her passion for the human body and health care at New York Chiropractic College. 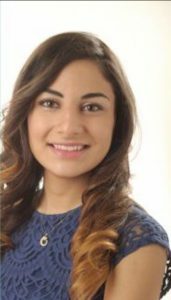 Dr. Sahota gained unique clinical experience in Buffalo, NY while she interned at Veterans Affair Western New York Health System before obtaining her Doctor of Chiropractic degree in 2015. Being an athlete throughout school she understands the importance of being healthy-both physically and mentally and continues to share her passion to help others optimize their health, decrease injuries, eliminate pain and enhance general well being. Dr. Amrit is certified in Active Release Therapy ( A.R.T) in upper and lower extremity modules as well as RockTape Fascial Movement Taping. In her spare time she enjoys weightlifting, meal prepping and gardening. Dr. Shaar’s passion for chiropractic began during her first year of undergraduate studies. She completed her undergraduate degree in Honours Science at the University of Waterloo in Waterloo, ON. She became interested in the profession, which led her to shadow chiropractors in the United States, Canada, and Dubai. Dr. Shaar studied chiropractic in Seneca Falls, NY at New York Chiropractic College. She gained her experience working at multidisciplinary clinics in Buffalo, NY and Mississauga, ON, where she treated patients ranging from infancy to adulthood. Dr. Shaar is trained in a soft tissue mobilization technique called ConnecTX therapy which treats all muscle injuries both acute and chronic with the use of a unique ConnecTX instrument. Dr. Rula Shaar is also certified in RockTape Fascial Movement Taping levels 1 and 2. In her spare time, Dr. Shaar enjoys reading, swimming, running and travelling the world. Dr. Sukhi Riar graduated with a Bachelor of Sciences (Hons.) degree in Biology and minoring in Chemistry from Wilfrid Laurier University in 2015. Her passion for non-invasive health care and the drive to optimize her own health emerged from her own personal health struggles as a child. She then went on to graduate from Life Chiropractic College West located in Hayward, California where she learned the importance of balancing her health mentally, physically and spiritually. Her passion for anatomy and the human body grew as she learned various and unique techniques at Life West. She is specialized in techniques such as; Thompson Drop-table, Activator, Chiropractic Biophysics and Sacro-occipital technique (SOT). She continues to share her passion of healthcare by educating and helping others maximize their health potential by decreasing pain and injuries, improving balance and posture and improving overall vitality. You can find Dr. Riar working out at Goodlife, traveling, cooking, reading, or dancing in her spare time.